How do آپ لوڈ اپ a photo? For advancement in spiritual world we need to surrender ourselves to spiritual “Guru” (teacher). Surrender here means with body, mind, دل and most important with our “ego”. Why is it important to surrender ego? It is because ego stops us in surrendering ourselves to guru. Therefore to surrender to guru, it is very important to remove ego within us. Here we will try to know kinds of ego found within us. This single line uttered in Lazarus Rising was an unbelievable one and had شائقین questioning on whether Castiel, the person claiming to have pulled Dean from Hell, really was an angel یا if it was some horrible trick. But it’s quickly dismissed. a comment was made to the poll:  Choose your پسندیدہ Angels icon? a poll گیا دیا کر شامل:  Choose your پسندیدہ Angels icon? 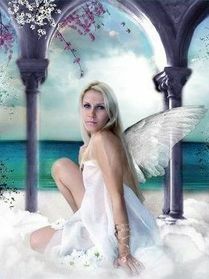 Angel Quotes - An angels hidden agenda is .......? This club needs a new look (new شبیہ and new banner).